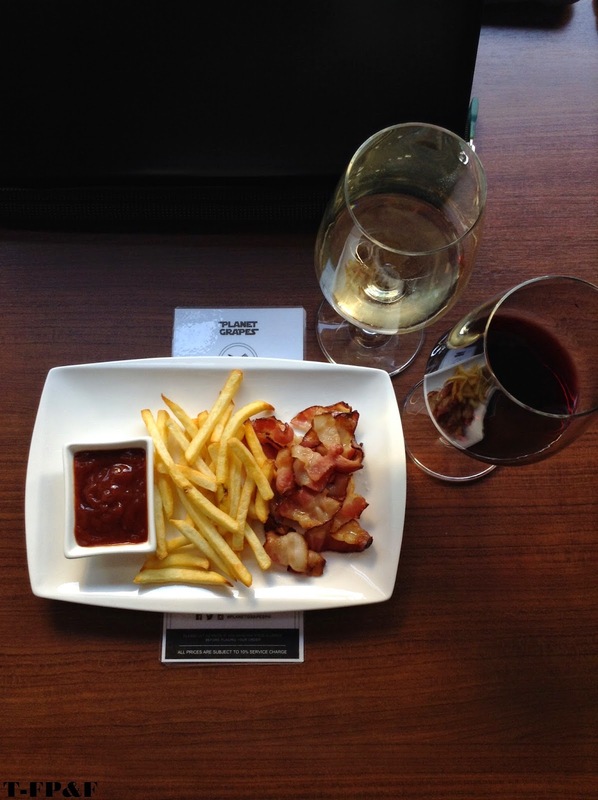 Have you been to any restaurant that has food and wine in their menu? 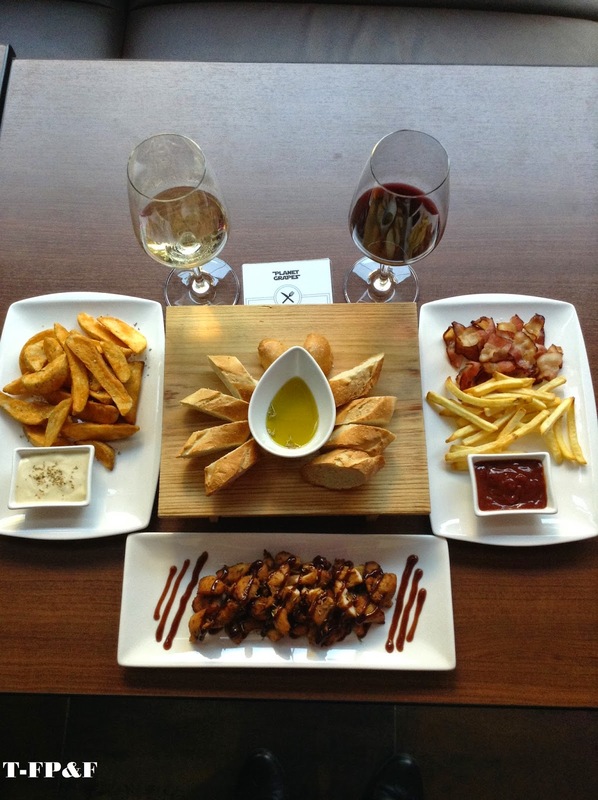 How about street food and wine? If you heard about Planet Grapes, this is the restaurant that you are looking for that fit your food and wine experience. 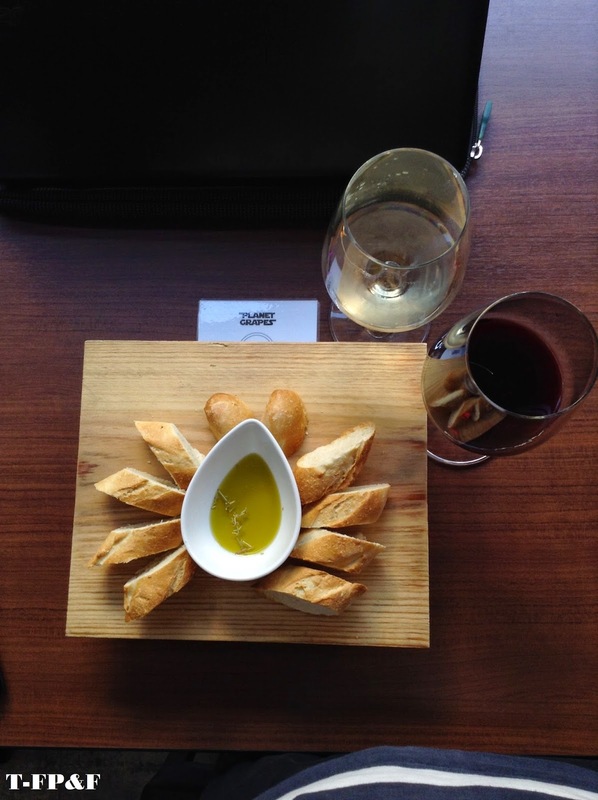 Planet Grapes offers an easygoing and wine-friendly ambiance. You can find different representations of each wine from around the world as they source from premium wine producing regions such as Australia, New Zealand, South Africa, France, Italy, Spain, Portugal, North America, and South America. Every customers that would like to order or to try different wines are allowed by sip, half glass and full glass sizes which you can pour your glass by pressing their touch screen machine on top of your chosen wine. Their wine price are depend on the quality of wine by types and level or sweetness both red or white wines, and you can also buy not only per glass but also per bottle. When you visit Planet Grapes, they have different types of wines that are displayed in their restaurant with corresponding label for the price. 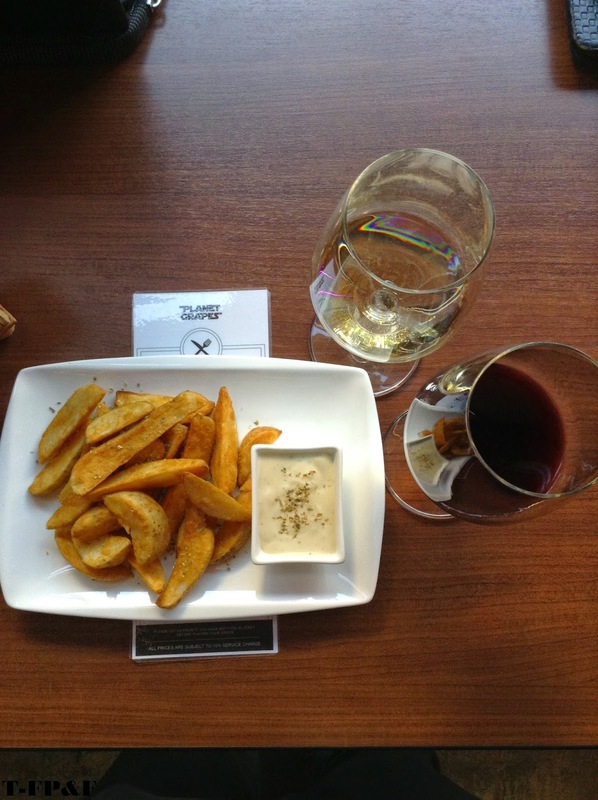 The restaurant portion of their wine shop encourages the harmonious combination of wine and food with traditional pairings such as cheese and cured meats, as well as local comfort foods such as siomai, chips, potato wedges and kikiam. 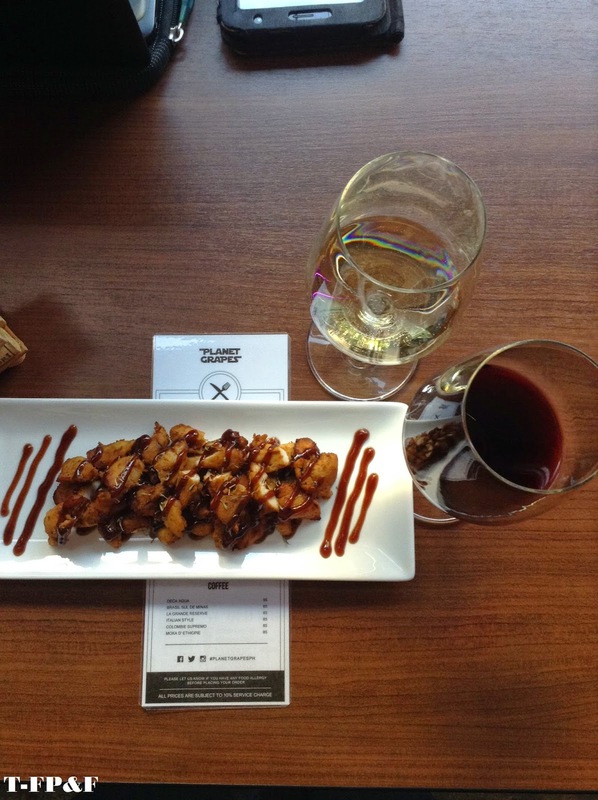 Planet Grapes is where street food meets wine in Manila. As what they said about Planet Grapes in terms of wine tasting, there are no do’s and don’ts, no rules to follow, no swirling, sniffing and tasting notes required. 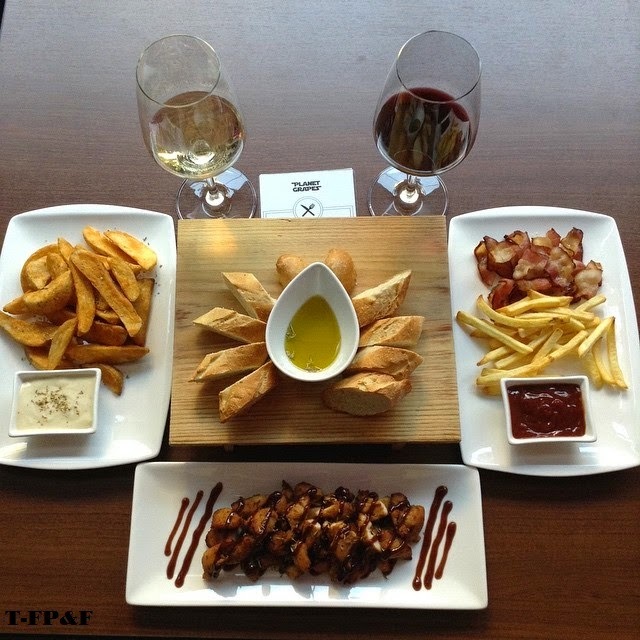 All about enjoying wine with your friends, colleagues and loved ones. 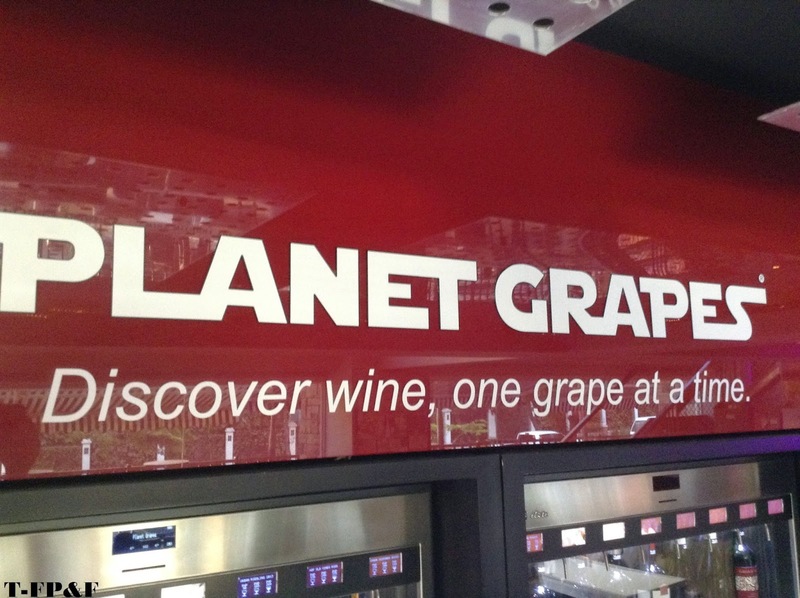 We have visited Planet Grapes branch in Tuscany Mckinley Hill Fort Bonifacio Taguig City. They have two floors, each floor has a dining sets and wine display. At the first floor you can find their kitchen, cashier, and different kinds of white and red wine to choose that you can pour in your wine glass. They play good music and the color and lights compliments to each other that makes the whole place ambiance so cool and you feel relax when you first enter in this restaurant. They offers street food, dessert and also coffee, other branches offers main course dishes like steak. As per the staff of Planet Grapes in Tuscany, their branch is more on wine showroom. To give you some of the food in their menu, we have took photos of what we have ordered. I really like the taste of the white wine that I have ordered, the level of sweetness and sourness (acids) was ample and the taste was right. For the food, we loved the taste of spiced chicken fillet, the spiciness is just right and even the sauce was good. Other food that we have tried are exactly to our taste and for the side note, to always eat your food immediately until it is still hot or not too cold for better taste. Thanks Dianne for checking my site and for being a model of my food review.